Supporting a variety of community interests. Our grants support a wide range of programs and organizations including education, conservation, arts and culture, workforce development, children and youth, efforts to end homelessness and hunger, assistance to the elderly, care for animals and many other causes. 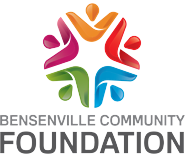 ​The Bensenville Community Foundation’s grant process seeks proposals from non-profit organizations that are based in Bensenville or from any organization with a project that has specific benefit to Bensenville residents. Grant applications vary from program to program and are posted when grants are available. ​The Bensenville Community Foundation Literacy Fund was formed in honor of community leaders, volunteers, and bibliophiles Susan Z. Diamond and Allan Devitt. The mission of the fund is to support programs in our community that foster literacy and promote the power of reading to enrich lives. Grants awarded from the fund would are used for both the development and implementation of new programs and the expansion of existing successful programs. Susan and Allan have lived in the Bensenville area for twenty years. In 2015, they received the Village of Bensenville Breiter-Cuvala Award in recognition of their volunteer efforts within the community. 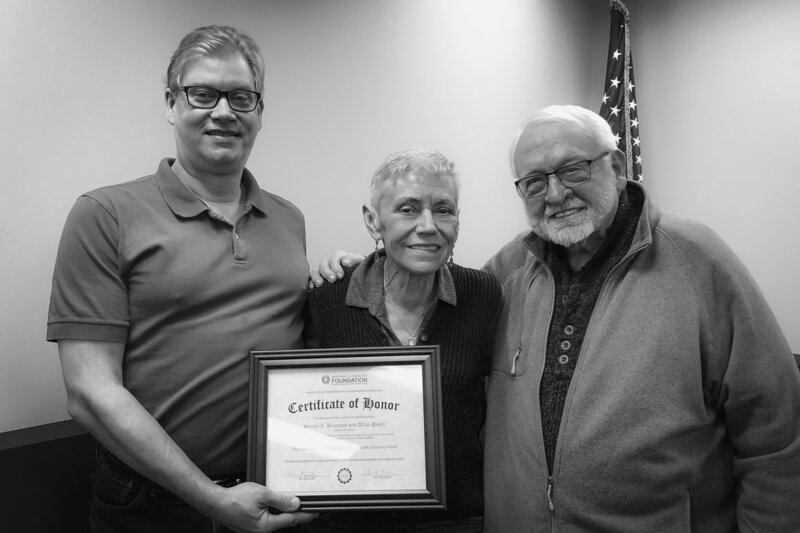 Susan currently serves as the Board President for the Bensenville Community Public Library and Allan is a longtime fixture as advocate for senior services within the community. Both are lifelong readers and avid members of the Beacon Society, a Sherlockian society known throughout the world.